Not everyone is fortunate enough to find a job they love so much, it doesn't even feel like work. But groomer Luis Antonio Caballero was recorded by his wife, Gabriela, and it's proof he's hit the jackpot in the career department. 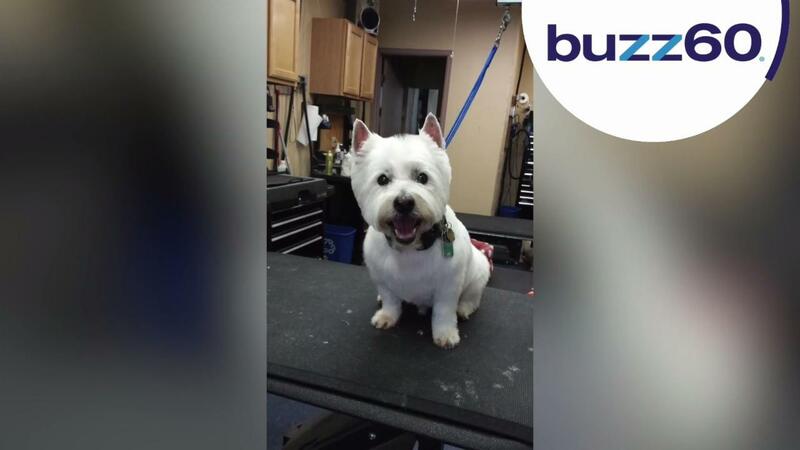 The video, posted on the Facebook page for PetShop Perrito Feliz, shows him having a blast at the office. While he was bathing and scrubbing down one of the furry friends, she caught him dancing and grooving with the pup. In a recent interview with The Dodo, Gabriela said, "I stepped away to make some tea and returned to find Luis dancing." She added, "He didn't realize I was there, so I took out my phone and started recording. This is just a normal day here." When they're not primping and pampering their clients, they're out getting homeless dogs into safe homes. Luis clearly loves his job and has a blast doing it, but he's not the only one who loves man's best friend. According to Gabriela, the whole family is "dedicated to dogs." The video has been viewed more than 1.7 million times, and it's no wonder. His dance moves are contagious!